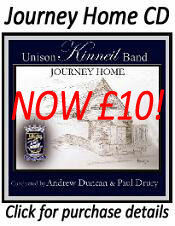 UNISON Kinneil Band finished 3rd in the First Section Scottish Championships that were held in Perth Concert Hall on Saturday 8th March. Performing the set test piece for the championships ’Cry of the Mountain’ by Howard Lorriman proved a stiff challenge for all 10 bands that took the Perth Concert Hall stage on the day. 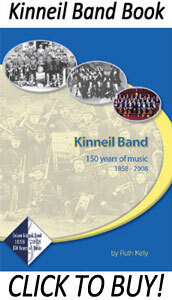 Kinneil drew a tough number 5 draw under the baton of Musical Director Craig Anderson but managed to produce a performance of real musical credit and this was a solid result in our re-building project. Although the band just missed out on promotion to the top section of Scottish banding the 3rd we receive an invite to the Scottish Shield Competition that is held in November. This entry was posted on Sunday, March 16th, 2014 and is filed under General News, Results. You can follow any responses to this entry through RSS 2.0. Both comments and pings are currently closed.